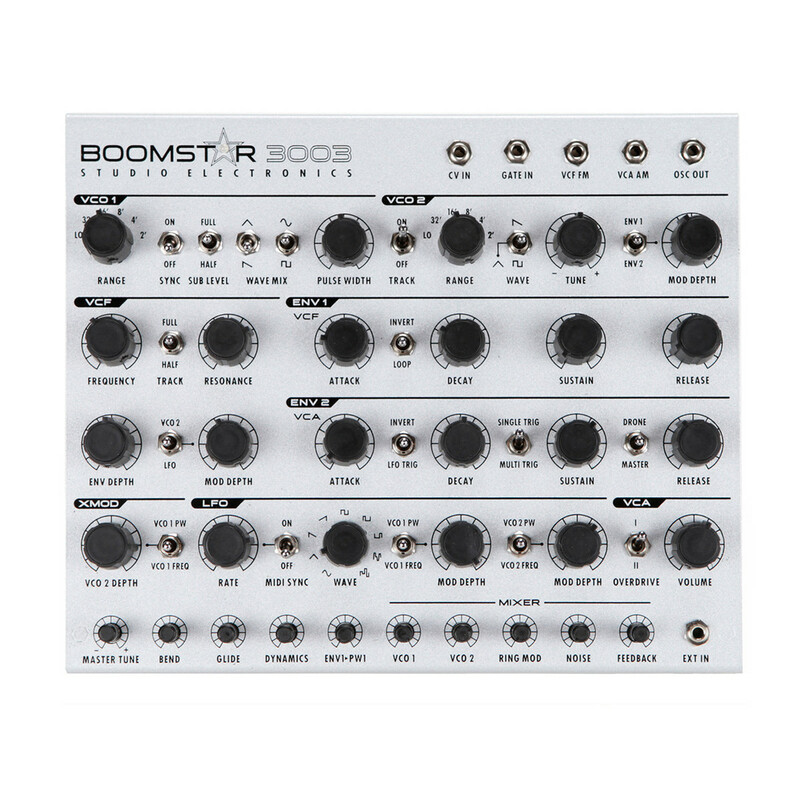 The Studio Electronics Boomstar 3003 Synthesizer with TB-303 filter lets you add old-school synth tone to your high-tech keyboard or studio rig. 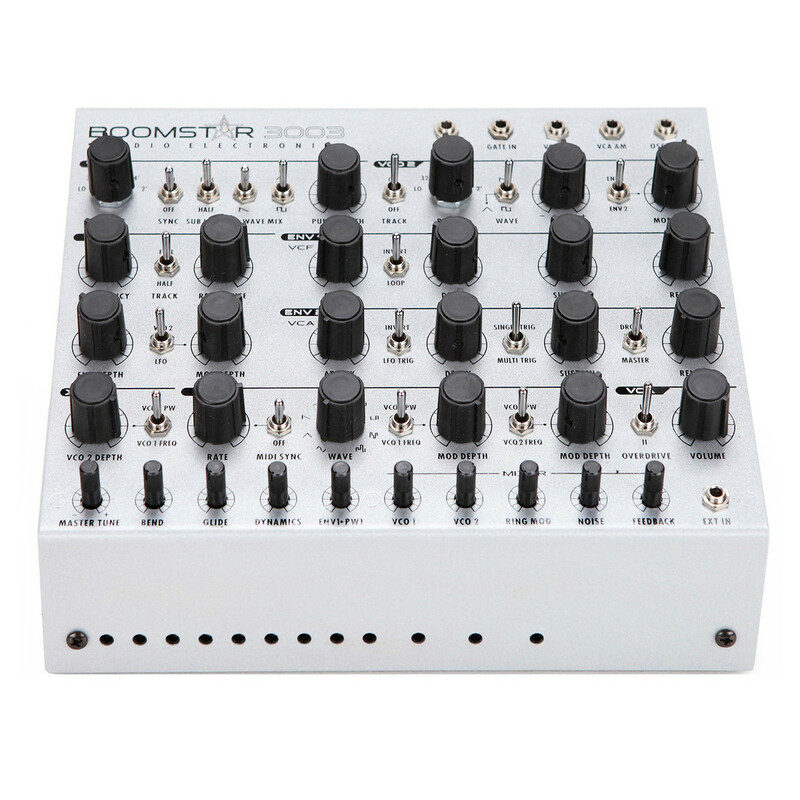 Enjoy the sound of a classic Roland TB-303-style filter with the Boomstar 3003's two multimode oscillators, sweet modulation options and a killer amp/mixer section. Put your synthesizer to work in fun and creative ways with extensive MIDI and CV options plus an external audio input, leaving you with endless possibilities of fat bass, soaring leads and shimmering pads this amazing module lets you create. 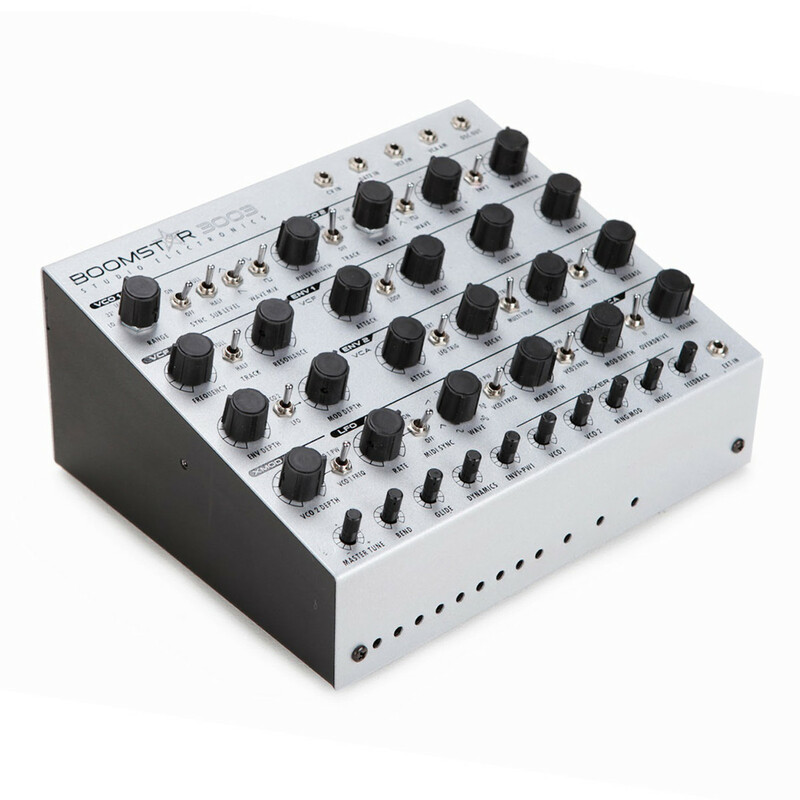 The Studio Electronics Boomstar 3003 Synthesizer features a sturdy steel chassis with a comprehensive collection of pots and rotary switches. The analog signal path is totally discrete, offering hand-matched transistors in the filter and amplifier sections, with a pair of multi-waveform oscillators as well as a warm forgiving VCA. As far as modulation and routing options go, you really can't knock the Boomstar 3003, which includes all of the standard LFO and envelope options you'd expect, plus cross modulation and ring modulation so you can really go nuts. Recreate the iconic sound that has remained one of the staples in synth bass to this day, with the built-in TB-303-style filter. Programming vintage grooves and TB-style synth lines is easier and more rewarding than ever with the Boomstar 3003, thanks to its fat multi-mode oscillators and advanced control options. 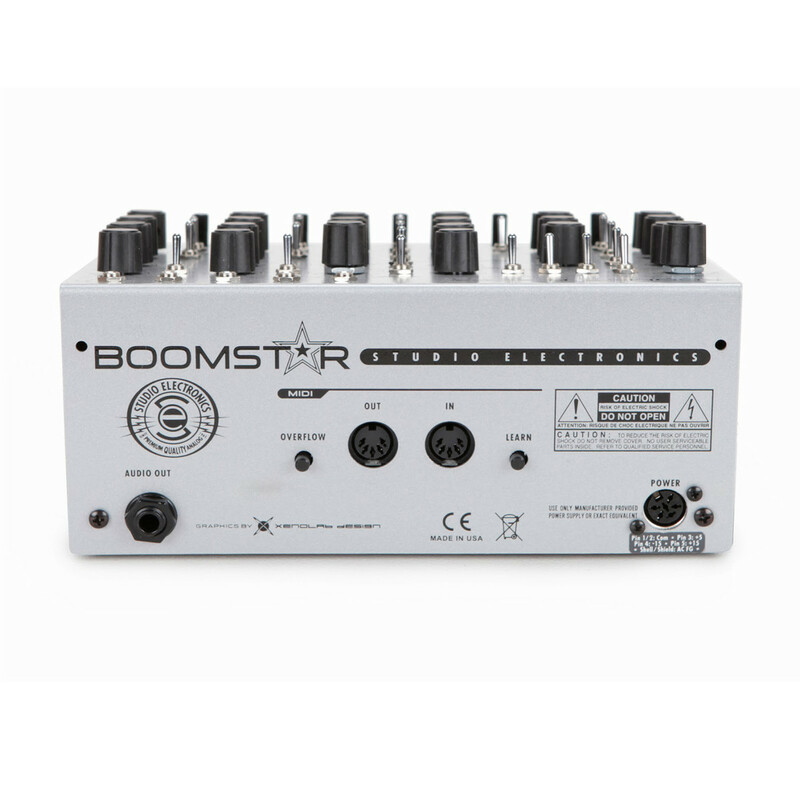 Non-keyboard players can get really creative with the Boomstar 3003 Synthesizer thanks to the external audio input. The onboard MIDI circuitry provides you with a MIDI learn function that makes this synthesizer almost as easy to integrate into your rig as a modern virtual instrument. you can even set note priority and allow overflow notes to pass along to additional Boomstar modules. Whether you're a seasoned synth tweaker or new to the game, you're going to love the Studio Electronics Boomstar 3003 Synthesizer.